Welcome to the inaugural CompStak Courier, you're one stop shop for interesting CRE news for the week. 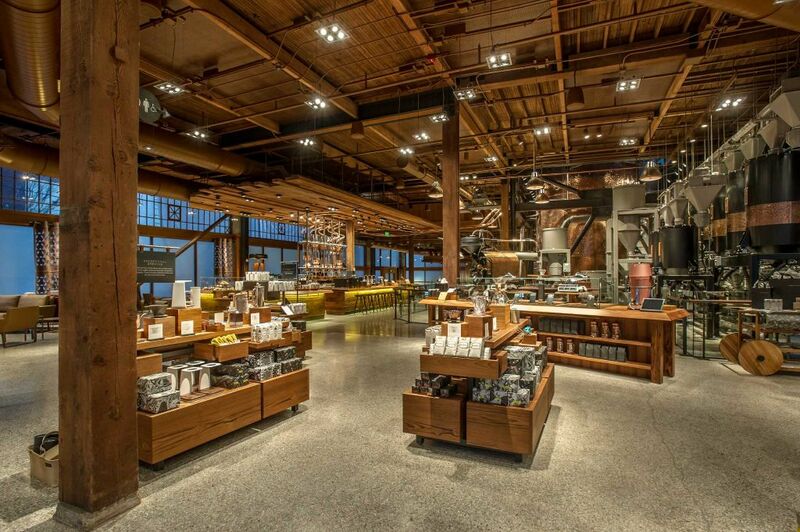 NYC Starbucks is opening its largest store in the world in NYC. CompStak looked at all of its Manhattan Starbucks lease comps to see how many more square feet the coffee giant is adding to its Manhattan portfolio. On average each current location is 2,200 SQFT, meaning that 9 regular sized stores will be able to fit into this one mega-Starbucks location! As rumors of the market hitting a peak make their rounds, concerns have been growing about how a slowdown in the office leasing market will affect home sale prices. CompStak research indicates that over the long term both asset classes move in unison, though during the most recent economic recovery, home prices lagged. Download Report. 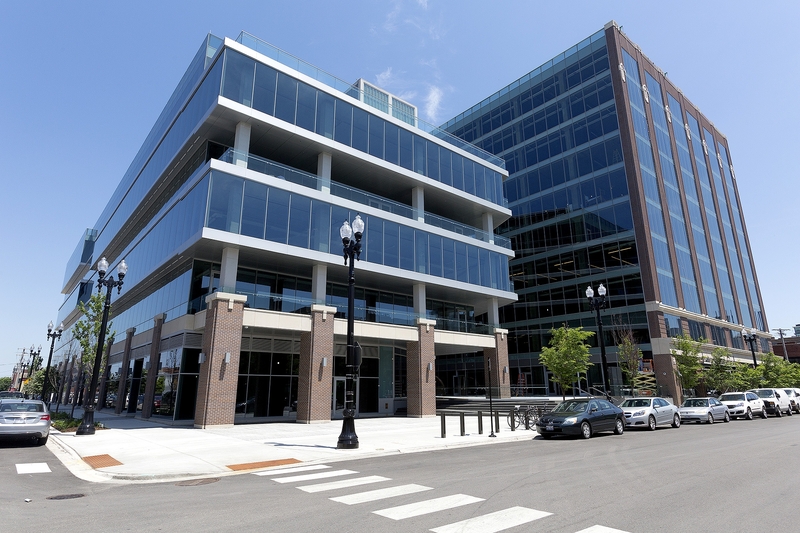 Tech firms accounted for one-quarter of total CBD office leasing last year and nearly half of that was in the West Loop according to a recent Bisnow report. 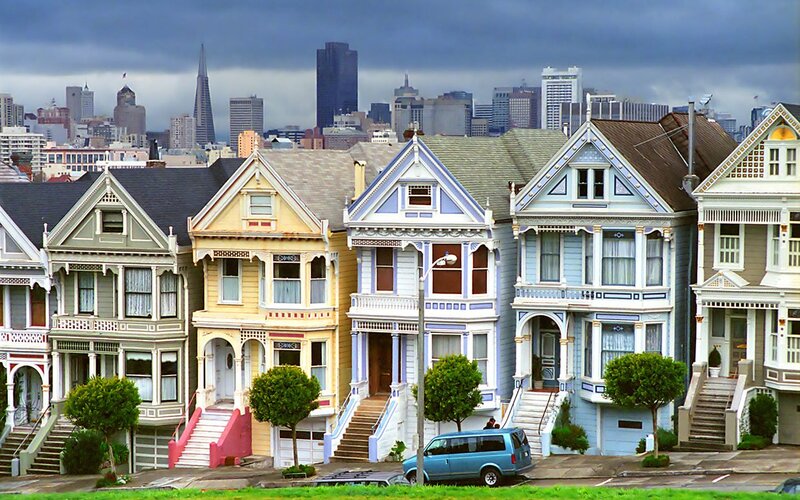 The submarket's office inventory is only 4M SF, but is the place to be in the tech world. CompStak gathered that tech giant, Google is leading the charge with its over 357K SQFT lease at 1K Fulton paying just over $35/SQFT. According to GlobeStreet, investors are looking towards suburban opportunities over downtown DC deals because of their lower prices per square foot and higher cap rates. There is actually more at play here that CompStak has helped uncover. Investors are likely fleeing DC investments for suburban deals because the DC market looks to be on a downtrend. Effective rent across the DC submarkets is down 10% to $41 PSF over the last 4 quarters. Average lease terms are also down from 77 months to 68 months over the same time period. Another reason investors are looking towards suburban investments is because the rental growth is stronger. Across 14 submarkets in VA and MD, CompStak data shows that effective rent is up 10% over the past 12 months, outperforming DC by a wide margin. Union Investment Realty of Germany purchased 101 Seaport for $452 million. The office tower is 17 stories with more than 440K SQFT. The purchase does not include the ground floor retail space, where vegan restaurant by Chloe will open this summer. With such a big price tag, CompStak looked at the leases underlying the asset and how they compare to its competitive set. A more recent deal in Q4 2015 saw PwC taking nearly 80% of the leaseable space for $38 per square foot over 15 years. Using CompStak, it is clear that this is a discounted lease rate because of the massive size of the deal from this AAA tenant as the starting rent average for the competitive set and the Seaport submarket are $53.90 and $48.78 respectively. The chart above shows the starting and effective trends over the last 10 years. AXA Investment Management Real Assets acquired a 49% stake in the iconic Westside office building, 5900 Wilshire. The 452,765 SF office building in Miracle Mile has tenants including the New York Times and Sundance. 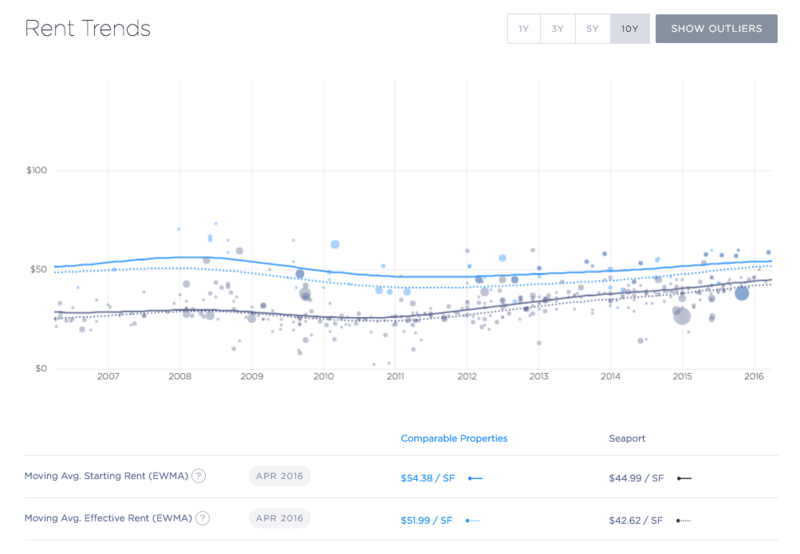 CompStak notes that with an average starting rent of about $3, the assets is performing equally with the $2.96 average for the Mid Wilshire submarket. PropertyWeek reports that London has seen tremendous growth in commercial property rents over the past 5 years. In particular, Shoreditch saw growth 181% growth from 2010 to 2015, while St. Jame's, Mayfair, Belgravia/Knightsbridge saw growth that averaged 70%. CompStak looked at its London database for St. James and created this Insights chart, showing year over year growth of 12.3% from April 2006 to April 2016.